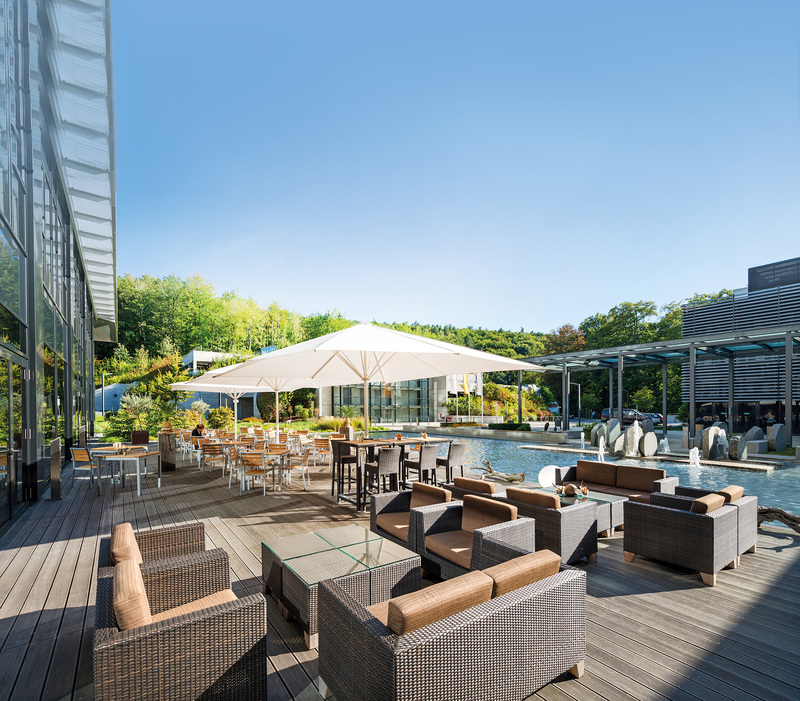 A very important meeting with just five people, a conference with 600 guests, workshops, trainings, or a memorable event: at the Lufthansa Seeheim conference hotel, you can be sure to find the right venue. 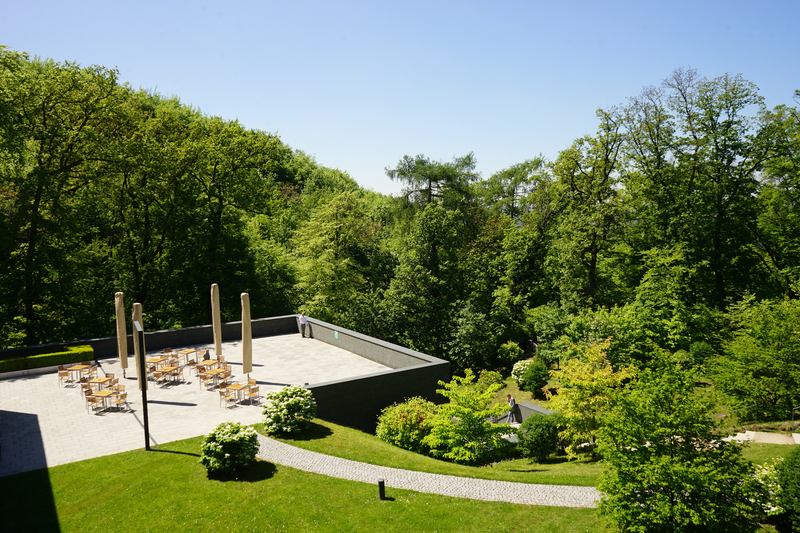 The four-star hotel in the Bergstraße-Odenwald Nature Park offers a wide variety of ways to efficiently organize successful events. 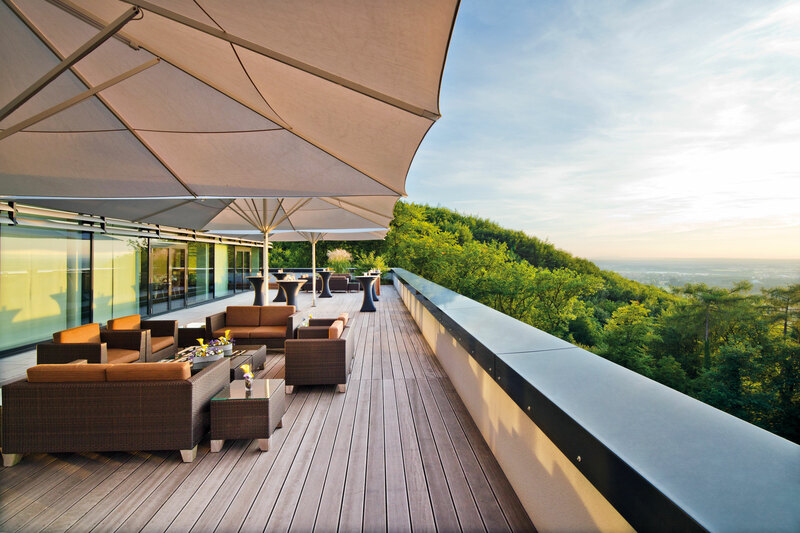 Workshops, training, seminars, team-building measures, coaching – whatever you are planning near Frankfurt am Main, you will find the right rooms and services here. 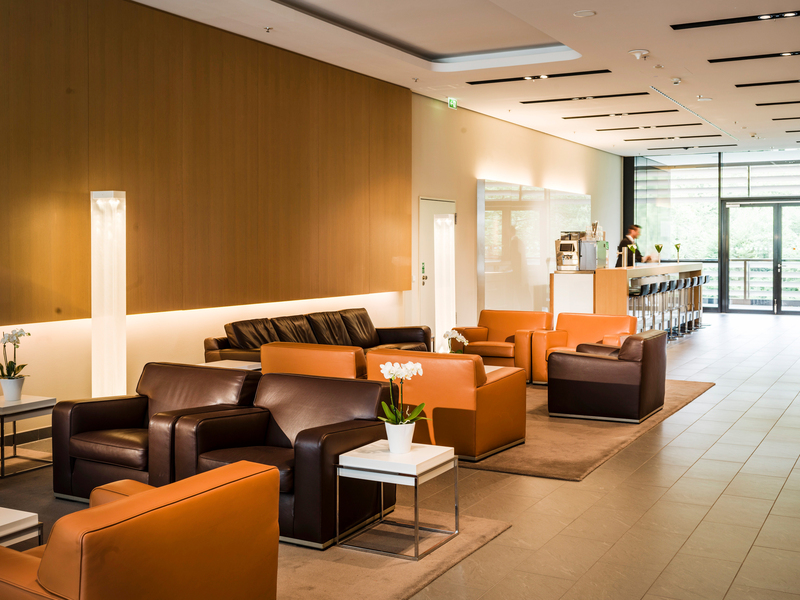 Benefit even more from your events: Lufthansa Seeheim has completely redesigned the freely accessible lounges and coffee points to meet the most diverse and modern communication needs. 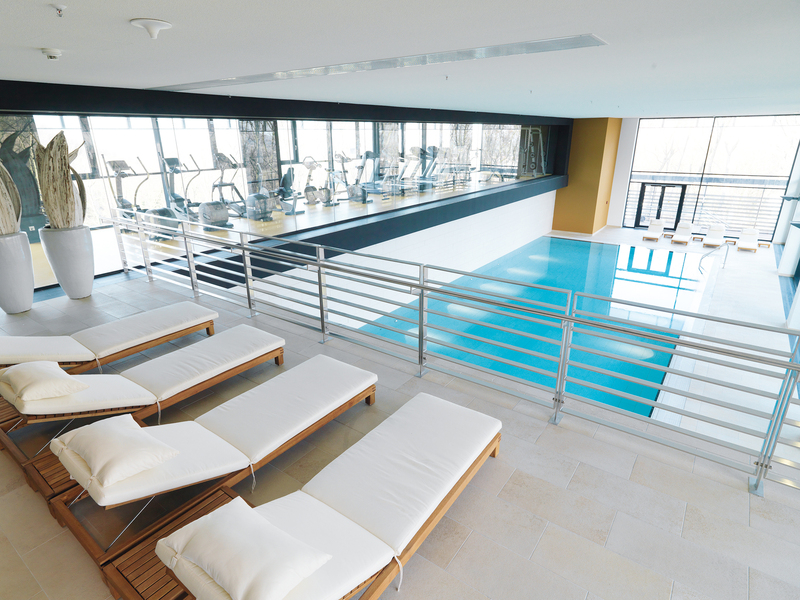 Casual meetings, efficient group work and space for relaxation – everything is made possible. 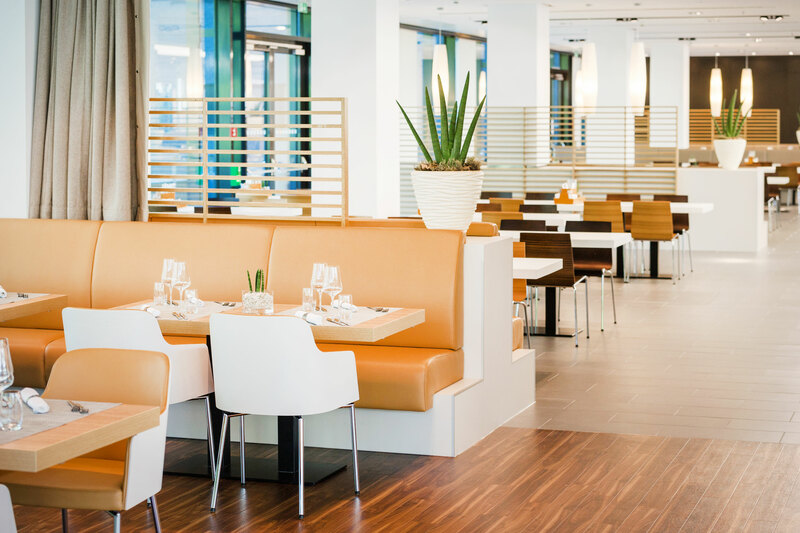 If you choose to host a banquet at the hotel, your guests will be treated to sophisticated meals that are also a visual delight. There are many ways to adapt the food to the particular tastes and needs of the participants. 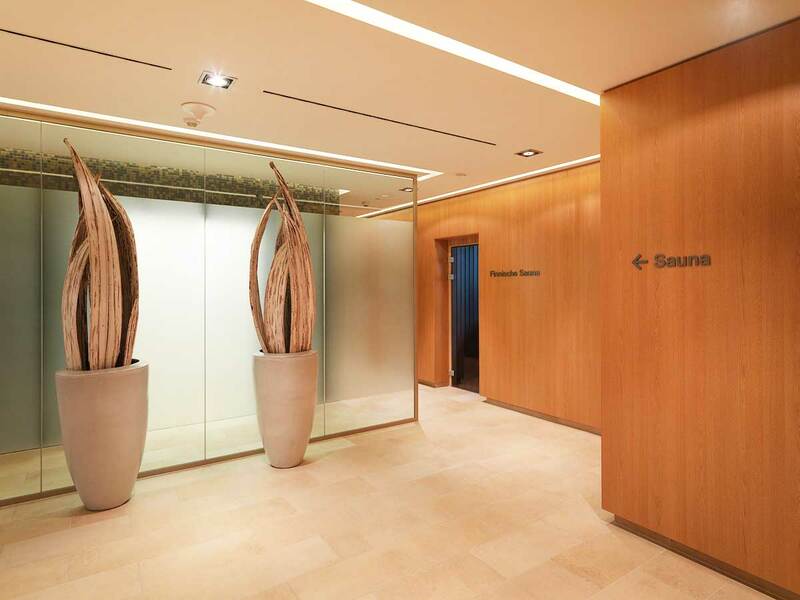 You can also choose to offer a buffet with a wide range of choices. 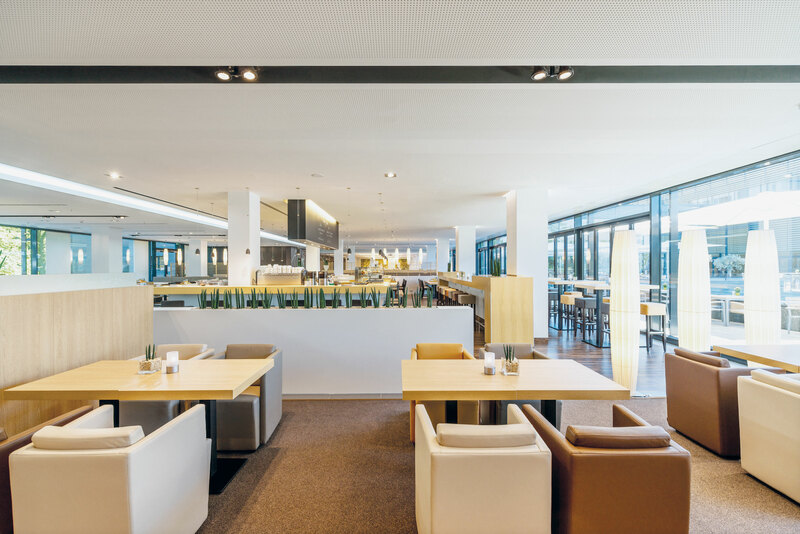 Are you interested in holding an event at Lufthansa Seeheim conference hotel? 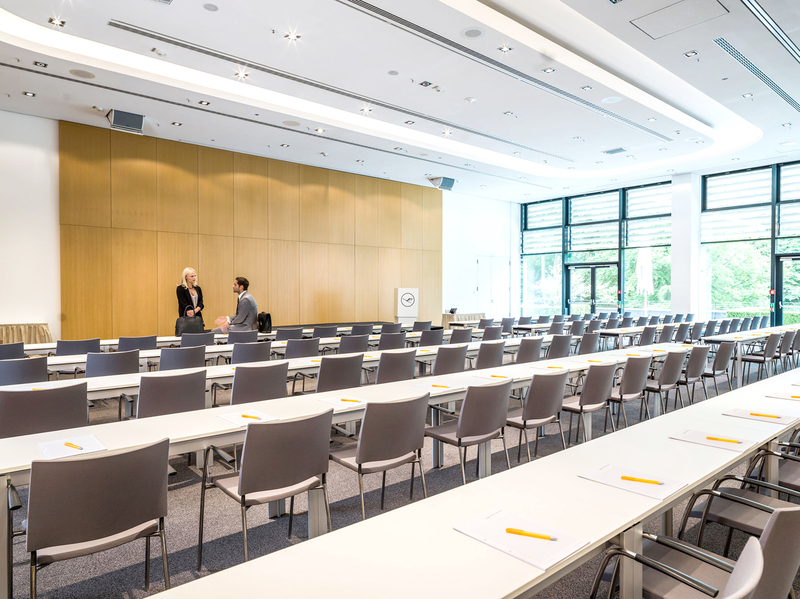 If so, take a look at our attractive prices and flat rates for conferences. 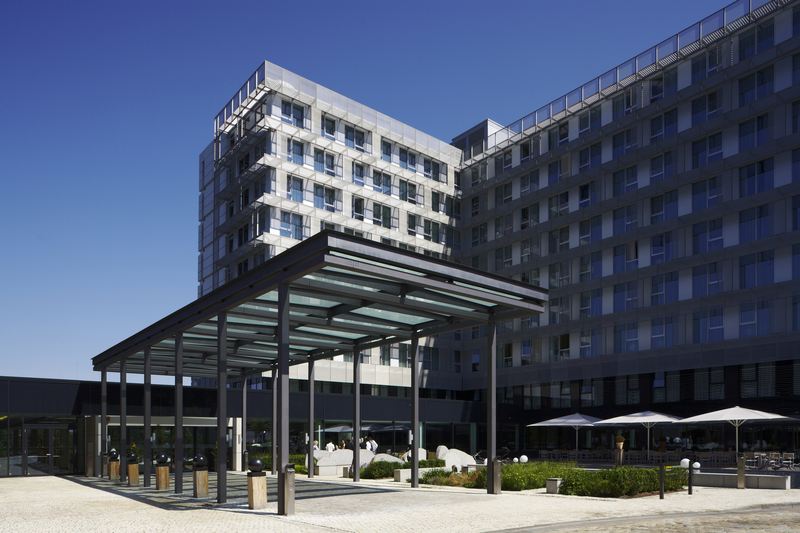 The Lufthansa Seeheim Conference Hotel is also available on Saturdays and Sundays. 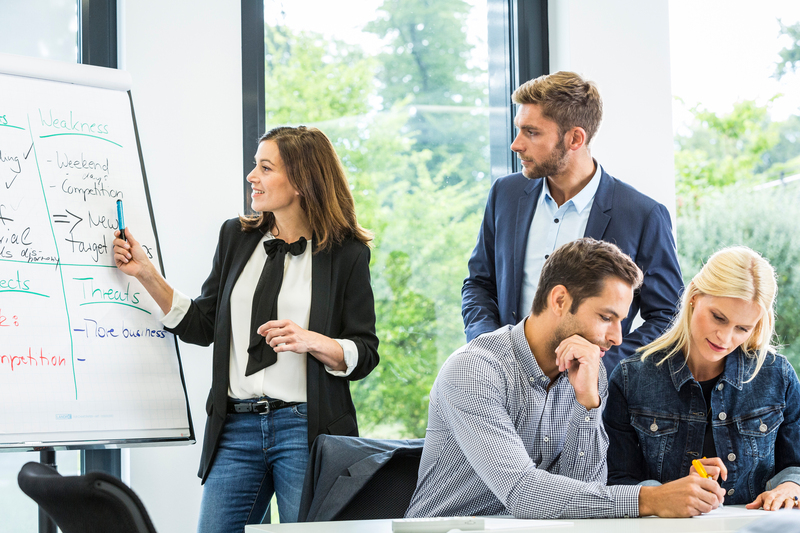 Since many participants are likely to have rather full schedules, weekends may be the most efficient solution for conferences, seminars or even company parties – especially since the hotel and its surroundings offer so many recreational opportunities. 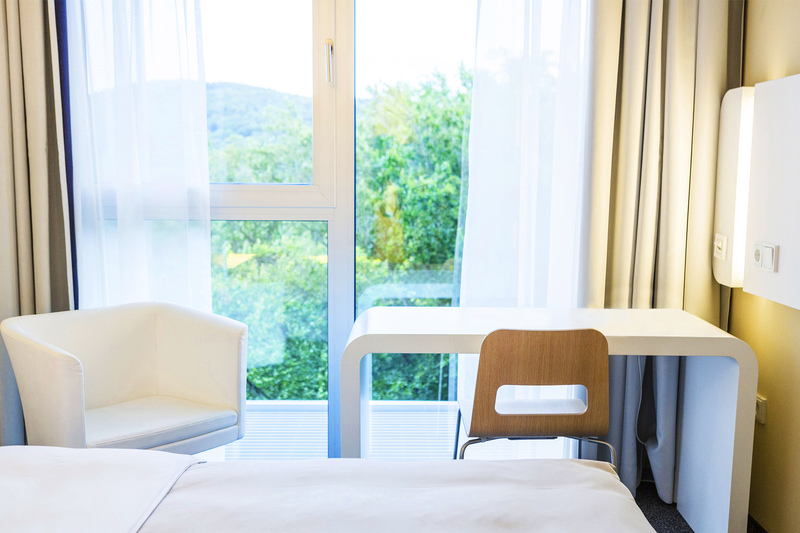 Prices are valid for Saturday and Sunday night including breakfast. 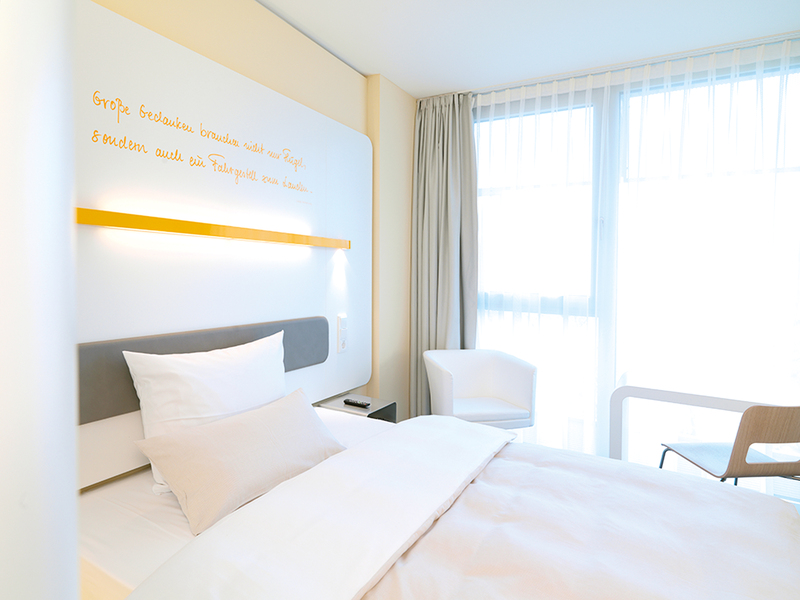 All room prices include the Lufthansa Seeheim business package. 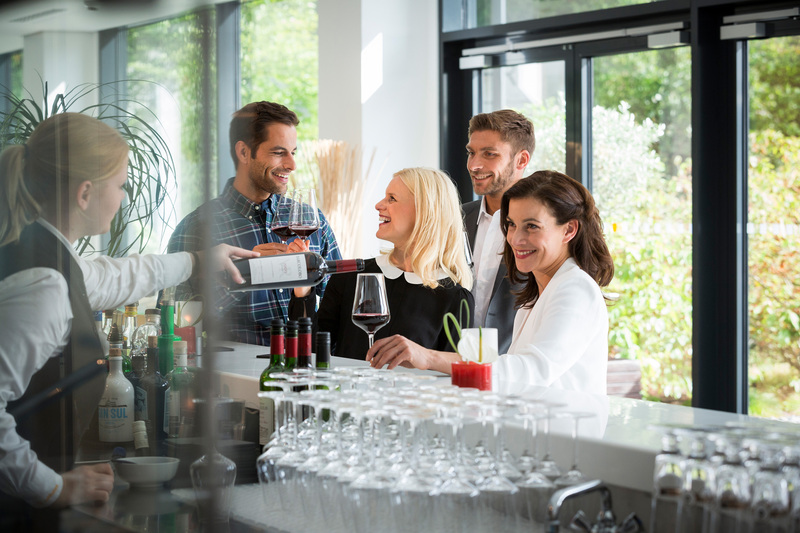 Wine Bar "red or white"
Technical guidelines have been defined to make sure that events are convenient and hassle-free.